Packers President and CEO Mark Murphy presents a check to Marshfield High School, April 10, 2019. 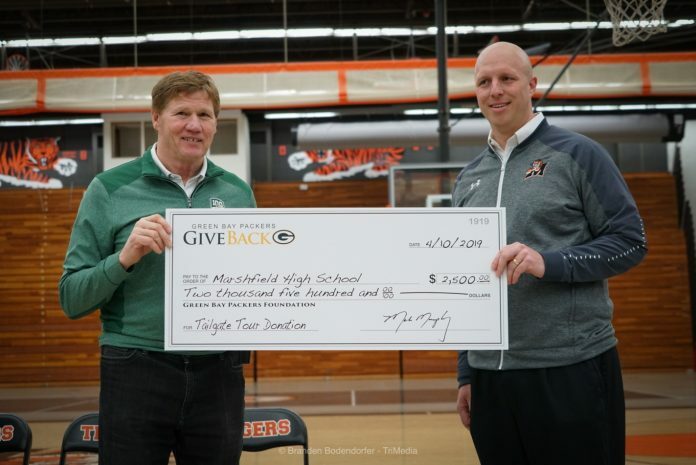 Marshfield, WI (OnFocus) The Green Bay Packers surprised the Marshfield High School athletic program with a $2,500 check Wednesday morning. 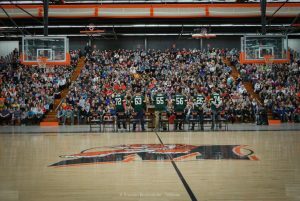 In a ceremony at Marshfield High School, former Packers players drove home a message on the importance of perseverance in pursuing goals despite obstacles. The players will move onto Sparta on Wednesday.